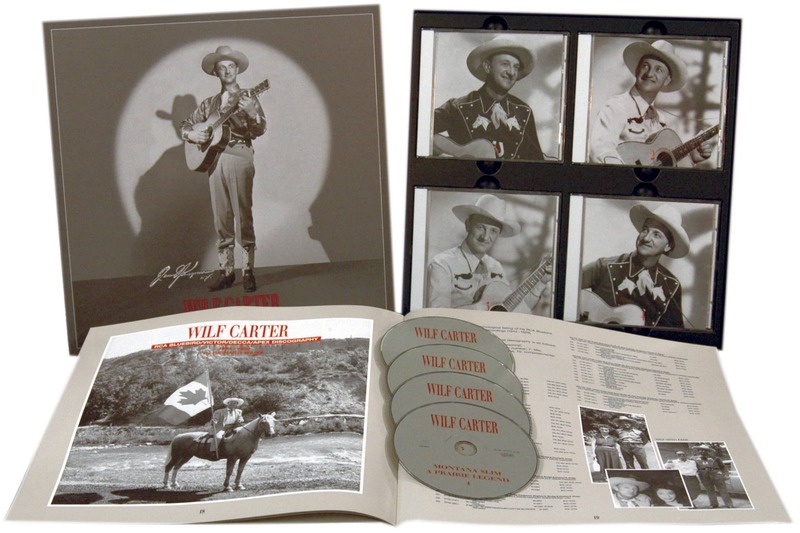 Although little remembered in the USA, the country singer, songwriter, guitarist and yodeller Wilf Carter continues to be revered in his home country together with Hank Snow, the godfather of Canadian country music. 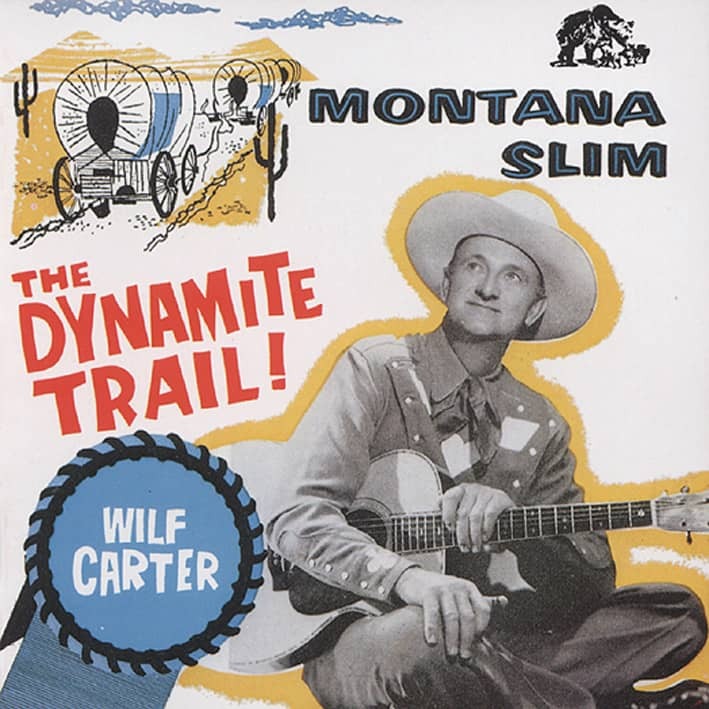 Wilf Carter wrote hundreds of songs, from country and western ballads to folk songs and bums and cowboys, most of which he recorded only with his acoustic guitar and many of which were interrupted by his skillful yodelling. 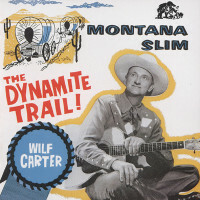 His pages were published in Canada under his own name, but in the States he was recognized as Montana Slim, a name he also adopted. 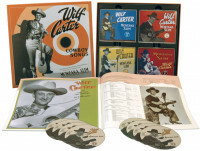 This expansive four-disc, 104-track box measured its early years, from 1933 to 1941, after which, although it remained very popular in Canada, its sales in the United States began to decline. 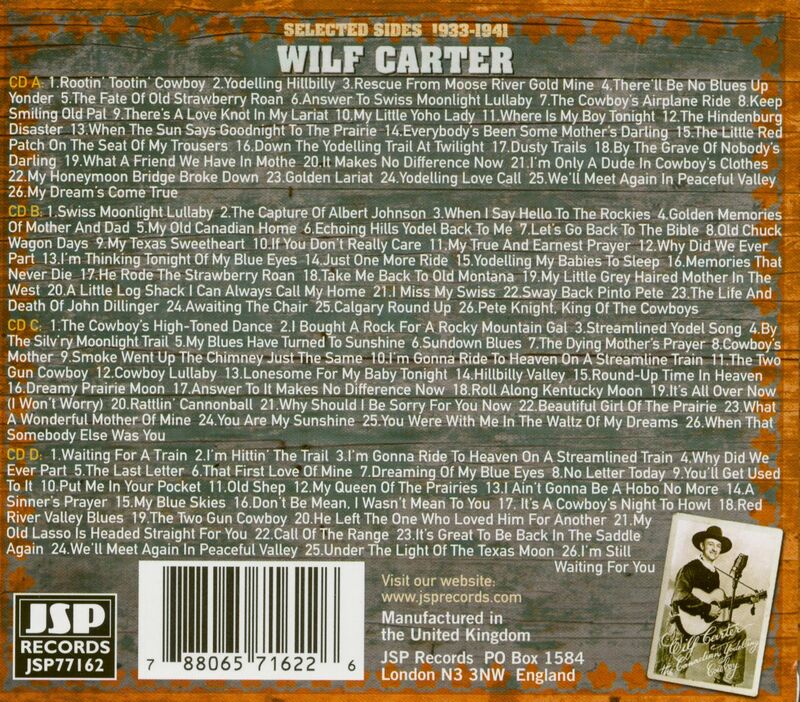 12 Why Did We Ever Part? 04 Why Did We Ever Part? 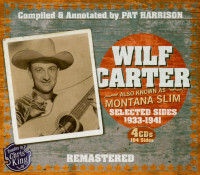 Customer evaluation for "Selected Sides 1933-1941 (4-CD)"